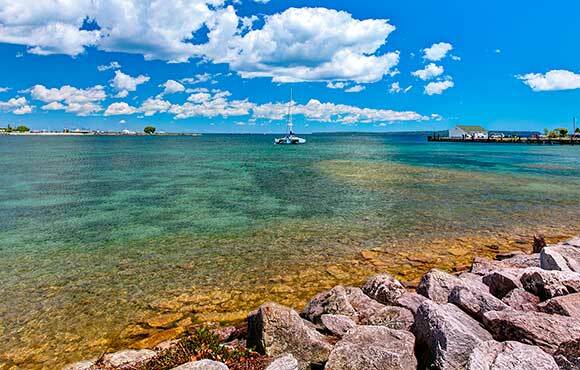 Here’s a fun fact for you: Michigan has the longest freshwater coastline in the United States (3,288 miles to be exact) and is bordered by four of the five great lakes. The only state with more coastline—freshwater or otherwise—is Alaska. With so much lakeshore to choose from, picking the perfect beach can be overwhelming, so we’ve created a short list of some of our favorite beaches along Lake Michigan. Pack your sunscreen and your beach towel and enjoy! Silver Lake State Park is composed of nearly 3,000 acres of sand dunes, forests and, of course, water. Because of its 450-acre off-road vehicle area, this park is popular with two- and four-wheel daredevils. Families love the large campground and swimming in Silver Lake, the warm and shallow swimming hole for which the park is named. For those that want to lose the crowds, exercise your body (and lungs!) by climbing the dunes. You'll be rewarded with great views and access to the less-populated beaches along this park's 4-mile shoreline. While Kiwanis Beach in downtown St. Ignace is a great place to take a dip, we prefer the less-populated and gorgeous beaches just outside of town. Take Highway 2 away from the city and park your car along the many pullouts designed for beachgoer parking. The lake in these parts is crystal clear and reminiscent of Caribbean waters. The soft waves and warm sand make these beaches the perfect place to park it for a day. You'll probably never want to leave. 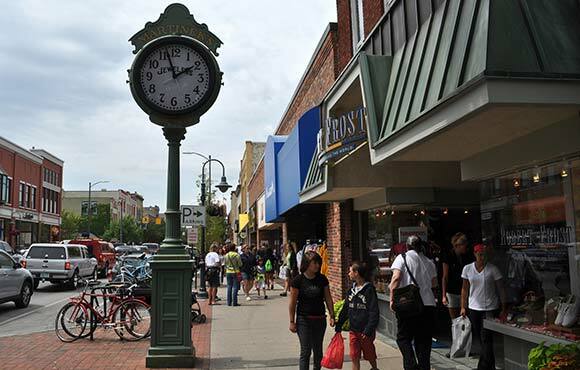 While this isn't the quietest or most scenic beach on Lake Michigan, we chose this state park because of its proximity to Traverse City, a fun little tourist town with shopping, restaurants and vacation-friendly activities like go-karts and putt-putt. The beach in this park is loud and populated, but the views of East Grand Traverse Bay are unrivaled and the water is shallow and great for swimming. If you don't mind braving the crowds, Traverse City State Park is a great pick. 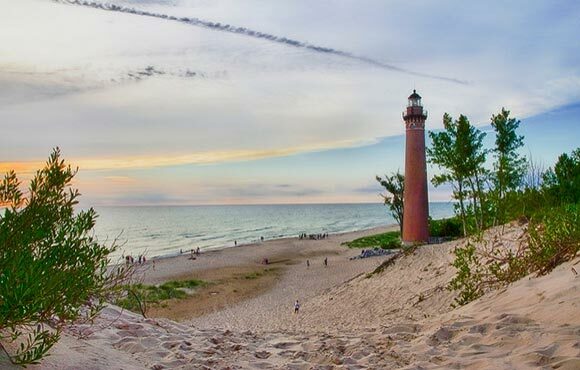 Ludington's largest beach is a great place to partake in a fun day of sun-filled activities or to gather to watch a breathtaking sunset. 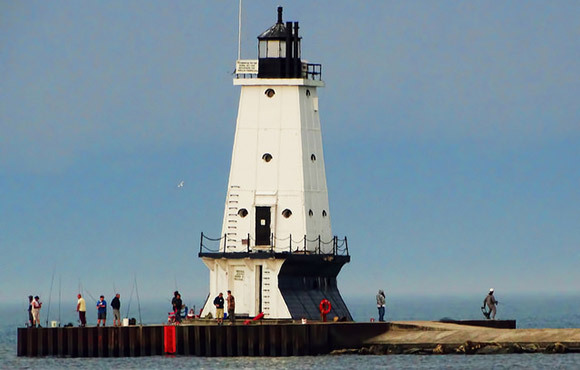 The beach's iconic landmark, the North Breakwater lighthouse, is open for tours during the summer. Take the half-mile walk out to see it, or just enjoy the views from the beach. If water won't keep you entertained all day, the park also boasts a grassy picnic area, skate park, shuffleboard court, mini-golf course and a playground for kids. No matter what you fancy, there's something here for everyone. 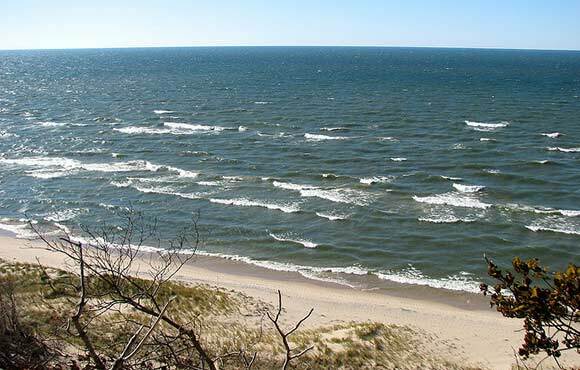 If you're searching for seclusion, look no further than the 2.5 miles of shoreline in Saugatuck Dunes State Park. Visitors must hike over a mile to reach the beach and the walk is not easy. The path to the lake wanders up and over 200-foot sand dunes. For those with stamina, it's a moderate hike, but unfortunately it is not the best choice for children or those in wheelchairs. Once you've arrived at the lake, take a walk in the soft sand or enjoy the more than 14 miles of hiking trails the park has to offer. 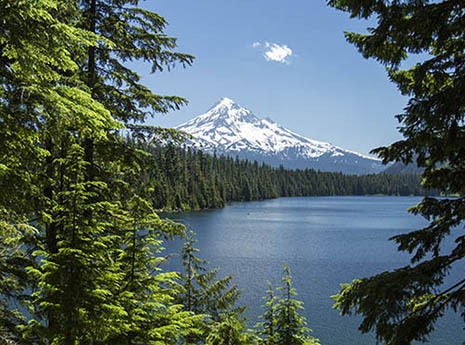 Between the solitude and beauty, you may have a hard time heading home.